We’ve team up with leading resort ANFI to bring you the very best accommodations that Gran Canaria has to offer. All self-catering apartments include a full kitchen, a balcony, and spectacular views, and they provide more than enough storage space for your beloved bikes. To ensure you’re fully fuelled and ready for the day ahead, breakfast is included, and half-board is available at a supplement. 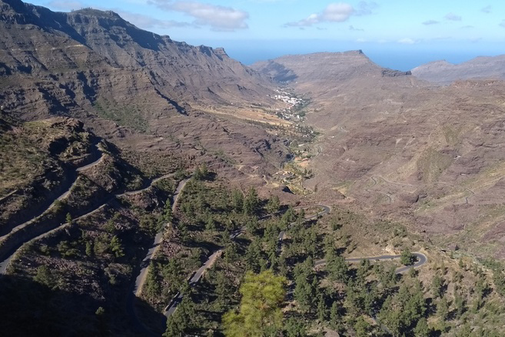 Available year-round, our 7 Night Gran Canaria Cycling Package includes accommodations in a 1 or 2 bedroom apartment (minimum occupancy applies) in one of ANFI’S exclusive resort, return airport transfers for you and your trusty steed, and breakfast daily. Dinner is available at a supplement. Independent travellers will be provided with a selection of GPX files with our ‘tried and tested routes’ to explore the island at their leisure, and we’ve got a great selection of optional guided cycle tours who those who prefer to cycle with a local guide. Group departures included 5 guided training tours.